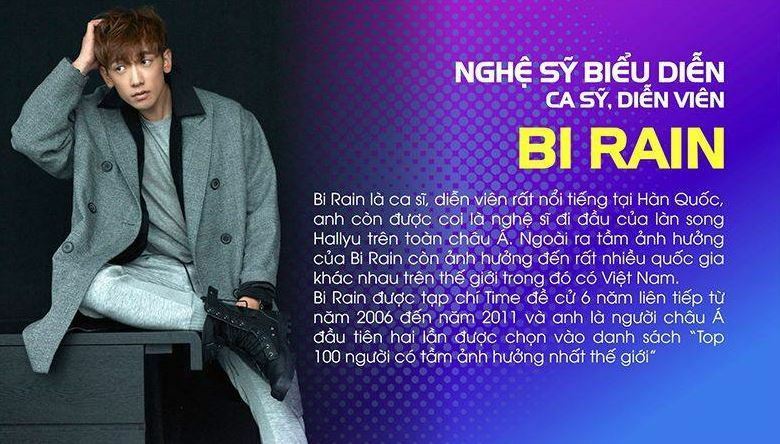 [Info]6/1 Rain will perform at Vietnam-Korea Friendship concert - 討論區 / Discussion - RAINCLOUDHK ♥ Rain HK Fans Site ♥ - Powered by Discuz! HOT NEWS for all overseas Clouds!!!! RAIN will come back to Vietnam to attend and perform at a Vietnam-Korea Friendship concert in Ha Noi, Vietnam on June 1st!!!! We are trying to get the tickets with the best view from the organizer so if you would like to visit Ha Noi to meet Rain, please kindly comment or pm us so we can reserve the tickets for you. The ticket price should be 2.000.000 Vietnam Dong ~ 90 USD, please be advised that this is the ticket price for standing area. If you would like to reserve a ticket through us, just send us an pm or comment!!!! Hope to meet our World Clouds in Hanoi this summer!!!!! GMT+8, 20-4-2019 18:33, Processed in 0.019745 second(s), 4 queries, Gzip enabled.